If you're like me, you go to the rock gym because climbing is fun and a good workout. But if you're also like me, it takes you 20-30 minutes to get to said gym and that means your attendance is sometimes sporadic in the midst of your otherwise busy schedule. That, among other reasons, is why I bought a Metolius Grip Saver Plus. Aside from getting injured, nothing is more frustrating than getting to the gym after a layoff and realizing that your strength is poor. For me, this mostly consists of hand strength, because other workout regimens I take part in work various other muscle groups. But it's difficult to keep hand strength up. That's where the Grip Saver comes in. It's a phenomenal tool for regularly challenging the various muscles and tendons in your hand. And you can use it wherever you're at, really. It's as simple as using a type of dense stress ball to flex and extend your hand. 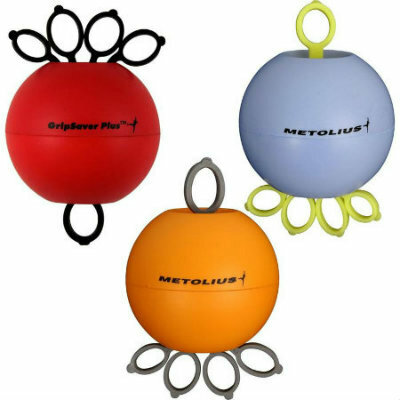 So, if work's a bear or you have hard time keeping up hand strength when not at the gym, give the Metolius Grip Saver Plus a go. And p.s., they're cheap to buy, too. Trust me, you won't regret it.